 San Joaquin County General Services Department is currently recruiting for a Property Manager who will be responsible for providing property management services for many of the County's facilities, and real estate services for existing and potentially new facilities. This is an extraordinary opportunity for an individual who possesses property management and real estate experience. Responsibilities will include: lease management, originating, terminating, revising, reviewing, negotiating and monitoring leases; managing rent payments and deposits; negotiating and creating licenses for temporary use of County property, property evaluations, appraisals, acquisitions and disposals; coordinating security guards; managing janitorial contracts; and reviewing and analyzing policies and regulations to determine their impact on property management activities and recommending any appropriate changes in operations. The incumbent will model a strong work ethic and have the ability to work effectively with multiple entities to accomplish tasks. This challenging opportunity will command an individual who is committed to excellence and who possesses strong management, administrative, or financial experience requiring the analysis and interpretation of data.